What is "Create Your Own"? Create Your Own is a tool that makes customizing and designing your very own mobile case a no brainer. It allows you to select your own photographs, artwork and text to personalize your phone or tablet. You can choose the type of service, the device and color, and make your own mark. How does "Create Your Own" work? To start, go onto our customization page and select the service followed by brand and the model of your device. Upload your favorite pictures and photos from your Facebook, Instagram or Google accounts or from your personal photo library and use the tool to make adjustments. You can also type in your own text, a poem, your favorite quote, your initials or whatever else you fancy and that’s it. Will my designs and selections for the customization of my phone be visible to other users? No. Create Your Own is a fully secure and private platform, made exclusively for you. It is password protected so only you can access it. Once you are satisfied with the result of your design and you've decided to go through with the payment, your design will then be securely transferred to one of our shops where we will carry out the request. What are the different customization services available with Switch? 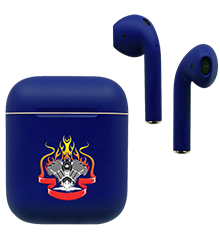 Print any image on your AirPods, mobile phone case and other tech gadgets such as gaming consoles. Wrap your phone and other gadgets with custom printed or textured skins. Engrave your name, logo or any pattern on your mobile phone. 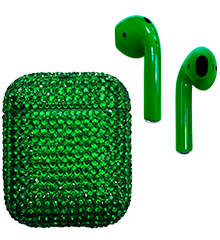 Bling your AirPods or phone with custom crystal customisation. Protect your device with the best screen and body protectors with anti-scratch, privacy and shatterproof protection. Gold plate your mobile phones in 24K yellow gold, or 18K rose gold, including white gold or black platinum. My device is not listed for customization on your website. What should I do? If you are unable to find your device on our page, please write to us on [email protected] and we will get back to you. Can I send in my old custom painted Switch product and have it repainted? Unfortunately, we cannot repaint your already painted Switch product. There are many technicalities involved in the painting process, which makes this process complex. Take your time in selecting your colours, we don’t want you to have any regrets! I painted my device and now I want to go back to the original color, is this possible? Unfortunately, a painted gadget cannot be restored to its original colour. Can I get my existing gadget customized? What is Artist 2D and Artist 3D service? Artist 2D paint includes adding patterns, logos, images on your gadget. While Artist 3D paint includes adding a 3D painted design element on the device, quite literally eye-popping in terms of design! Apart from mobiles, what other devices can I customize? What is the Switch Case? The Switch Case is a Switch Exclusive product. It is multiple cases in one with so many different customisation options to choose from. 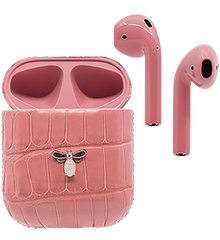 The Switch Case consists of a metal frame or case bumper that comes in 4 metallic finishes; Gold, Silver, Rose Gold and Black. The back of the case is customised with our removable interchangeable back panels. There are back panels for printing, wooden back panels for engraving, special crystal covered back panels, which allows you to print any image of your choice and instantly bling it with a layer of clear sparkling crystals on top! Once I have engraving done on my device, can I restore my device to original condition? Nope :(, unfortunately your device is marked for life. What is the quality of gold used in gold plating service? Our yellow gold is pure 24K, while our rose gold is 18K. The thickness of our plating is double than that of others offering a similar service. This means that your Switch gold plated product is less likely to fade or discolour, and is guaranteed to last over a period of time. What are the different protection services available for mobile phones? Anti-scratch Protection – HD Clarity clear protective skin that protects your phone from scratches, chemicals, UV, oils and fingerprint marks. Does not turn yellow. 100% Cat Proof! Shatterproof Protection – HD Clarity screen and glass body protectors that shield your device from breakage due to drops and impact. 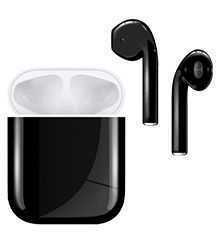 It is also UV, chemical, oil and fingerprint resistant. Does not turn yellow. 100% Idiot-proof! Liquid Nano Protectors - Next generation liquid sapphire nano protectors for those who don’t want to add an extra layer on their phones. With just a few drops of this magic potion, you can protect your phone from light scratches, oils, dirt and fingerprint marks! How do I place an order on JustSwitch.com? Browse through our catalog of designs and filter according to category, colour or theme or alternatively, you can also upload your own images and personal designs and add and edit text! Not really, but by creating an account your contact information and preferences are saved with us and you won’t have to re-enter addresses and contact details for subsequent purchases. It’s quick and easy and helps us serve you better. If you prefer not to create an account you can place your order using guest login, in which case your contact information and delivery preferences and details will not be saved for future purchases. Wait a few moments you should receive it shortly. Check your junk email/spam folders. If you’re using Gmail, check the Promotions tab in your inbox. Add us to contacts or mark us on your Safe Senders List to prevent this from happening again. Still nothing? Sorry about that! Write to [email protected] with your name, email address and order number and we’ll fix the bug. The product I want is not available or is out of stock. What should I do? Write to us on [email protected] with the details of what you are looking for and we'll let you know when the product becomes available. How can I follow up on the status of my order? To check the status of your order, go to Track Your Order and enter your order number and email address. Click Submit to see your order status. I have received the wrong product, now what? Oops! We’re sorry about that. :( Please contact us at [email protected] with the order number and we'll work with you to ensure that you receive the right product this time around. I have changed my mind about an order, how do I cancel before I receive it? Write to us on [email protected] and we will check the status of your order. If the order has not yet gone into production, we will cancel your order and issue a refund. However, if your order is already under production, there’s nothing we can do :(! Since all our products are customised to suit your tastes and preferences, orders that are in production cannot be canceled. If you would like to cancel an order, write to us ASAP so that we can stop it in its tracks before it goes into production. I bought an item from Switch, can I return or exchange the product for another? Unfortunately, we do not offer returns or exchanges on delivered products since the product has been tailor-made according to your tastes and preferences. An exception will be made if there are physical defects or issues with quality. Do I get my money back for a cancelled or returned item? Yes, we will issue a refund for all orders that have been successfully cancelled. How can I place bulk orders? Can I get a special price for your services? Go to the Bulk Order section on our homepage header, and write to us with the details of your requirements and we will be happy to serve you, pricing can be negotiated according to the size of the order. What are your customer service operating hours? From 10.00AM to 10.00PM Saturday to Thursday and from 3.00PM to 10.00PM on Fridays. We only have the online payment option. We accept Visa and MasterCard through our fully secure payment gateway. Once your order has been placed, you'll receive an order confirmation email, which is your electronic receipt. A printed invoice will be sent along with your package. Do you have Cash on Delivery (COD) payment option available? I received a JustSwitch.com voucher; however, the voucher code is not working. What should I do? Write to us with the details of the voucher on [email protected] and we'll check on it for you. I have a discount voucher, how can I redeem it? Simply enter the voucher code on the cart confirmation page of your online order, the discount will be calculated automatically. I have returned my first order. What happens to the discount voucher I used in the order? If the coupon code was already redeemed on your previous order, unfortunately it is now void. For Cases, Texture, Engrave, Crystals and Clear Protection - 3-4 working days. For Gold - 9 working days. For Paint - 7 working days. 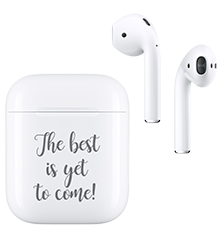 For Crystal AirPods - 14 working days. Shipping to countries outside UAE and KSA will take an additional 3 – 5 working days. This is the estimated time required by the courier service and does not include the Customs processing time in your country. In some cases the local Customs office of your country may require additional documents and time to have your package cleared. Please allow extra time for your order to be processed during weekends and public holidays. Will my order be delivered to my house or to the post office for me to pick up? Your Switch order will be delivered to your doorstep. In the rare instance that door-to-door delivery service is unavailable in your region, it will be delivered to the post office. Kindly note that for international shipping, any additional taxes or customs duties have to be paid by the customer. Please write to us on [email protected] with your new delivery address. Please write to us on [email protected] with your preferred date of delivery. There are no additional duties to be paid for deliveries to the UAE and KSA. For other international orders, there may be additional duties and taxies levied by customs in your country. How do I subscribe to the Switch newsletter? By subscribing to our newsletter you will receive offers and the latest news about our products and services. To subscribe, just type in your email address in the text box on the footer of the homepage. How do I unsubscribe to the Switch newsletter? Click on the unsubscribe link at the footer of the newsletter. How do I reset my Switch account password? I have forgotten my Switch account password. Now what? On the login page click on “Forgot Password” and follow the instructions to reset your password. What is the warranty policy on JustSwitch.com? The standard warranty policy in UAE is 1 year. In order to claim your warranty, please write to us on [email protected] regarding your issues with “Order ID” and a clear picture of the defect. We will get back to you within 2 working days. All warranties are currently applicable only in the region of purchase in UAE and KSA. All courier and custom expenses and the responsibility of sending your device to our warehouse in UAE and shipping costs back to your country will be borne by you. What is the warranty on the new device that I purchase from JustSwitch.com? Can I extend my device or service warranty with JustSwitch.com? We do not have this service available at the moment. Does engrave service have warranty? No, there is no warranty available on the engraving service. Do the skins and protection services have lifetime warranty? Yes, the standard warranty for a skin service is lifetime from the shipping invoice. The warranty covers defects in the texture such as peeling, cracking, fading, or other vinyl-related defects. 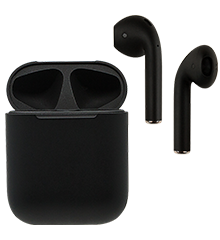 The warranty is not transferable, and is only valid for the original device and the original device owner. Also, the replacement will be done with the best available skins options and the fee of AED 10/per side payable for warranty claims. What is the warranty period for liquid protection service? The standard warranty for liquid protection is 1 year. How do I return an item for repair to claim my warranty? Write to us on [email protected] along with your order number and send us pictures of the defect. We will schedule a pick up date and have your item repaired or replaced. I returned my device for repair. How do I check the status? We require a minimum of 14 days for repair. We will be in touch in the rare instance that we need more time. You can anyways write to us on [email protected] to follow up on your order repair status. Will I lose the manufacturers warranty on my gadget if I customize it with Switch? If you customise your gadget using our paint, gold-plating or engraving service, causing permanent physical changes to the original product, then your original manufacturer’s warranty will be void. Will the repairs cost me anything? If your product is covered under warranty we will repair it at no additional charge. Where can I purchase Switch products offline in retail stores? You can find us at Axiom Telecom stores across the UAE and KSA. To find the Switch store nearest to you, visit our store locator page. If the Item is not in stock online, is it available in stores? If you’re looking for an item that is out of stock online, you may be in luck and find it at one of our retail outlets! To find out if the product you are looking for is available in store, please call the store. Visit our store locator page, to find the Switch store nearest to you. Are prices same in store and online? Yep! However, we may run special online or store exclusive promotions every now and then, which may cause prices to vary during the promotional periods. Are all your products and services available at all your retail outlets across the UAE and KSA? Nope. This may vary according to region. To check which services are available at a Switch outlet near you; click here.